Well, yes, Tory Historian is aware of the fact that our ruling Monarch is a Queen, Elizabeth II and, therefore, we sing God Save the Queen. Well, those of us who know the words sing it on the rare occasions it is still asked of us. There are times, grumbles Tory Historian, when it seems that this is the only country in which generations of children are not taught the National Anthem. September 28, 1745 was when God Save the King (you see, there was a reason for that title) was sung for the first time after a performance of Ben Jonson’s “The Alchemist” at the Drury Lane Theatre. The tune was Thomas Arne’s. In the middle of the Jacobite rebellion (or the forty-five as “1066 and All That” refers to it) patriotic fervour was rife in London. After this night it was sung by “the Gentlemen of the House” every night. For obvious reasons, this was subsequently omitted, though the lines about confounding their politics and frustrating their knavish tricks remained to delight us all and spur us on to provide candidates for them. Inevitably, the story of where the tune comes from has been the source of much discussion and debate, as this Wikipedia entry outlines. The same entry gives a detailed history of its acceptance as the National Anthem and the influence it has had on the national music of other countries, English-speaking or not. Sadly, we all seem to be writing far too many obituaries these days. The old generation is going. Tory Historian, on the whole, is not in particular sympathy with Lord Gilmour’s “wet” politics, while recognizing that his rather paternalistic “one nation conservatism” does have a serious historical background and a following in the party. In fact, one might say that a good many of those wet policies are now the policies of the Conservative leadership, though we have yet to see how attractive the electorate will find them. Having read the excellent and exhaustive obituary in the Daily Telegraph, with an excellent photograph that conveys the man’s personality in one shot, Tory Historian is left with something of a puzzle. What exactly motivated Sir Ian Gilmour, later Lord Gilmour of Craigmillar? Was it noblesse oblige? Was it a feeling of distaste for the commonness of the new Conservative Party with people like Margaret Thatcher and Norman Tebbit in charge? Surely not. How is it that he managed to find himself on the wrong side in every debate, except one? For some incomprehensible reason he was quite tough in Cold War politics, while you would expect him to try to find compromises and see good things in the Soviet leadership. But he did not and that is greatly to his honour. Not much else is. No need to despair: the next issue of the Conservative History Journal has gone to the printer and will be ready for the Party Conference with subscribers receiving their copies after that. More copies will be available from the Conservative History Group. It is full of goodies, including two cartoons of the Suez Group, one by Vicky, that have not been published for fifty years or more and are the property of Lady Biggs-Davison, the widow of one member of the rebellious group, Sir John Biggs-Davison. Then there is an article by Alistair Cooke on one of the dames formidables of the Conservative Party, an early organizer (as women could not, at that time, be agents), who ensured that Ramsay Macdonald was re-elected in 1931. There is an interview with Jonathan Aitken by Mark Coalter, a regular contributor to the Journal with Aitken telling entertaining stories about the 1963 Conservative Party Conference; a piece about the Ukrainian-born MP, Josef Terlezki; two articles with relevance to the present situation, one about the eighteenth century Scottish Prime Minister, Earl of Bute and the other about Anthony Eden’s long wait to inherit Churchill’s mantle. Eden was not, perhaps, the most successful of our twentieth century Prime Ministers. This is not the forum for discussion of present Conservative Party policy and, in any case, it would be invidious to single out one of the policy commission reports. So Tory Historian prefers to quote from an account of the first few settlements in New England. 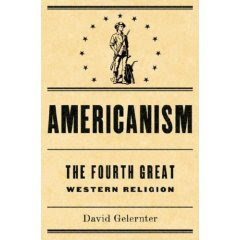 This comes from a book Tory Historian has been reading, David Gelernter’s “Americanism – the Fourth Great Western Religion”. This is a fascinating book whose thesis is clear from the title. Gelernter argues that American or American Zionism (not to be confused with the political Zionism of Jewish nationalism) grew out of English Puritanism. At some later stage there will be a more detailed posting on the book. In the meantime, here is an account of the early Plymouth Plantation, based on that written by William Bradford, the second Governor. During its first two planting seasons, however, Plymouth Plantation was a farming commune: everyone worked at food production and community chores; the results were doled out to each Pilgrim family according to need. 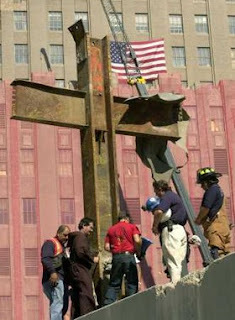 It was pure socialism. But the results were catastrophic. And so “at length,” Bradford writes, the governor (namely himself) “gave way that they should set corn every man for his own particular,” in other words for his own household, “and in that regard trust to themselves”. Bradford “assigned to every family a parcel of land, according to the proportion of their number … This had very much good success, for it made all hands very industrious.” The result proved the falseness of the idea “that the taking away of property and bringing in community into a commonwealth would make them happy and flourishing”. Well, well. How many times has that idea been proved to be false since those days in Plymouth Plantation? And yet, some people still believe in it, as long as they are not affected themselves. On the grounds that conservatives must always rejoice in tyrants’ ends, this is a day to be celebrated as the anniversary of Mao Zedong’s death in 1976. We still do not know exactly how many millions of deaths he was responsible for but information is slowly emerging. Nor can we compute the tens, if not hundreds, of millions of broken lives, bodies and souls; the attempted (thankfully failed) destruction of a great culture; the economic and political catastrophe that the Chinese and through them others still have to deal with. Then there are the nauseating Western supporters of Mao, all in the comfort of their “despicable” capitalist societies. The sun is shining, the world seems quite a decent place (just quite, you understand) so, perhaps, the less said about them, the better.